Beyonce Knowles and Jay-Z have finally given the world a look at Blue Ivy Carter. A little over a month after welcoming their first child together, the "Best Thing I Never Had" singer and her rapper husband set up a brand new Tumblr account dedicated to the newborn and released the first photos of their baby girl. 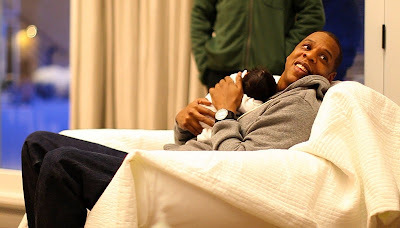 One of the pictures posted on the blog displays baby Blue Ivy being cradled by Queen Bey, another one captures her tiny hand holding the pop diva's, and the other one sees her being held in Jigga's arm. Two other images offer solo shots of the infant being wrapped up in her baby blanket. 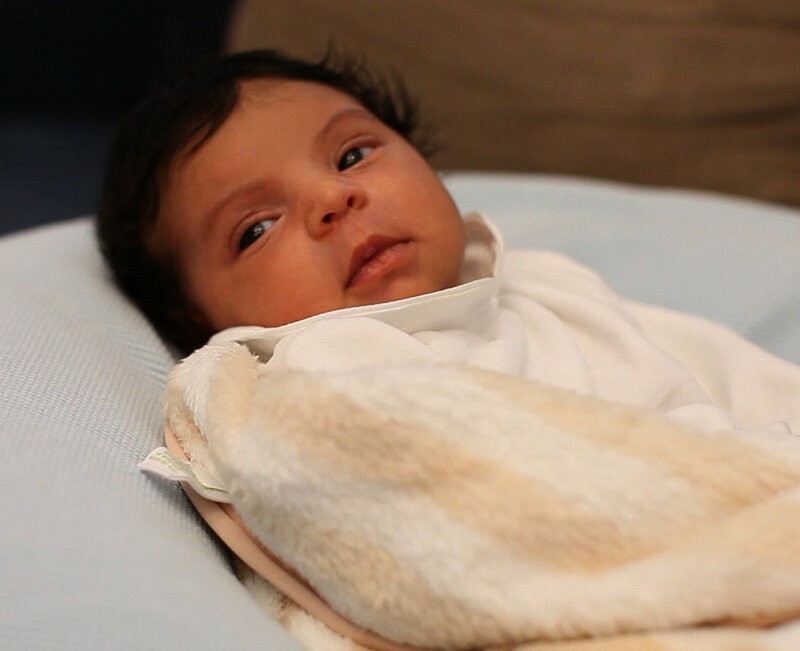 Along with the photos, the powerhouse couple posted a simple handwritten note signed by "The Carter Family". It read, "We welcome you to share in our joy. Thank you for respecting our privacy during this beautiful time in our lives." The release of Blue's first pictures came just days after Queen Bey made her first public appearance since giving birth. The "Single Ladies (Put a Ring on It)" hitmaker stepped out in New York City on February 6 for Jigga's first Carnegie Hall concert. At the time, she wore a figure-hugging red dress by Alice Temperley to show off her post-baby body. 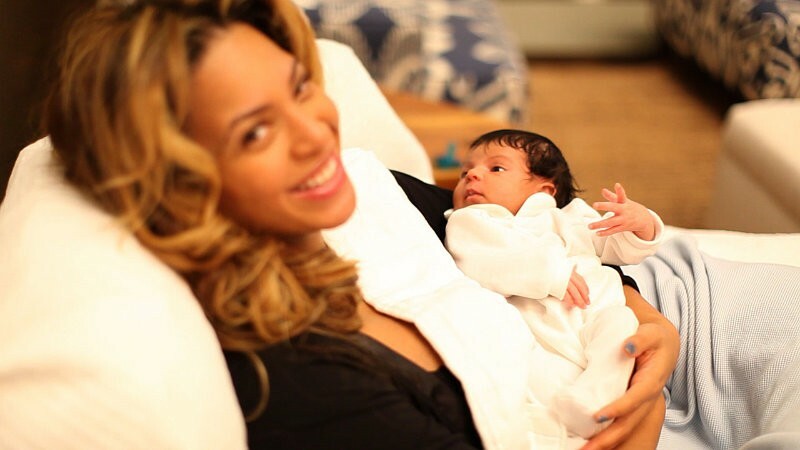 Queen Bey gave birth to Blue Ivy on January 7. 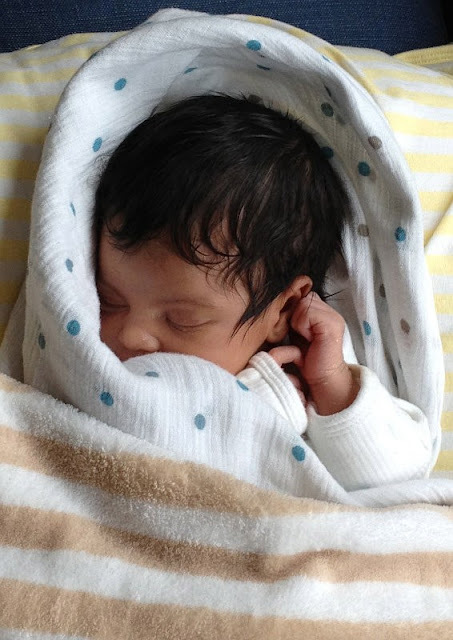 In a joint statement, she and her music mogul husband described their daughter's birth as "emotional and extremely peaceful." Saying they "are in heaven," they added, "We are thankful to everyone for all your prayers, well wishes, love and support."